Scratch® is a programming language that was invented by MIT. Through the creation of interactive stories, animations and games, students will develop a foundation of programming concepts (such as variables, loops, conditional statements, event handling and more) that will prepare them for higher level programming language. 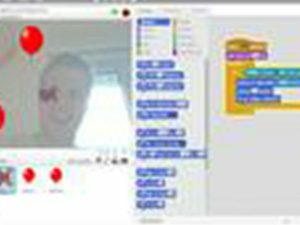 In this class, you will also be programming Scratch® to integrate external devices such as webcam, robots and Makey Makey. This is a fun way to be introduce to programming.